Here’s a taste of the geeky curiosities from around the Web that I posted to my Twitter profile this week. Follow me on Twitter for the four-course meal. You might even find a between-course palate-freshener of mint sorbet. But I’m not promising anything. Or giving up on this “meal” metaphor. 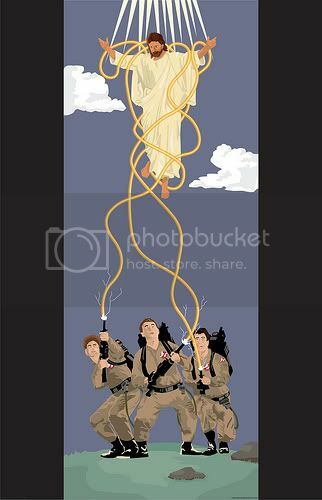 Ghostbusters vs. Jesus. That’s magical. I love it. Previous post: Geek Steal: Superhero DVDs up to 57% off!